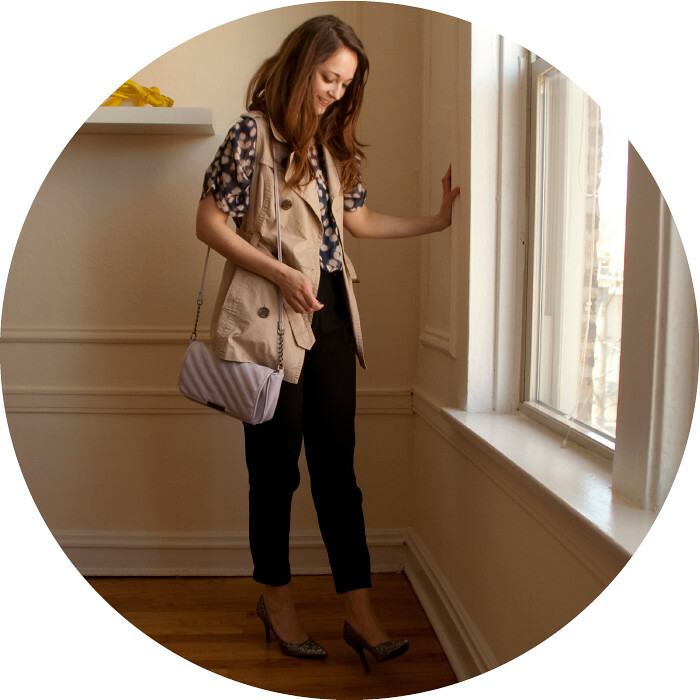 creative: this trench vest can look really casual, so i paired it with a pretty pattern and dress pants to lessen the casual-ness. young: glitter heels! i bought these for fancy events since last christmas i had a bunch of work events that i had to dress simultaneously professional and festive for. i have now figured out that the perfect thing for this is fancy shoes with a plain dress. now that i've got the fancy shoes i want to wear them all the time. i have become that person that wears heels to the grocery store...but they're so sparkley and fun! professional: since i've gotten over my fear that black pants are boring, i've embraced the closet staple-ness of this pair and wear them all the time. thanks to everybody for the feedback on my linkup idea last week. how about we meet back here next tuesday and make that happen. yay!